Andhra Pradesh is home to several beautiful temples which have become pilgrimage destination amongst Hindu devotees over a period of time. Some of them date back to the period before the Common Era, numerous date back to the Medieval Period and a few have a recent history. One amongst these pilgrimage destinations in the state include the beautiful Pallikondeswara Temple. It is not only of great religious significance, but also boasts of great historical and architectural importance. Therefore, it is visited by hundreds of tourists every year. If you would love learn in detail about the legends of this age-old marvel, then plan a trip to Surutapalli in Andhra Pradesh. 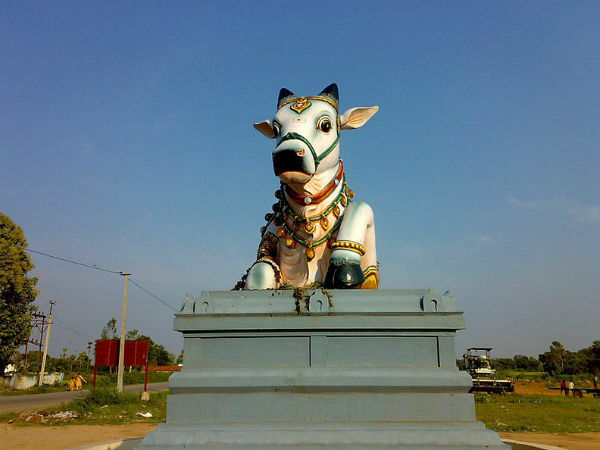 Pallikondeswara Temple is located in a small village named Surutapalli in the vicinity of Chennai. Therefore, it has become a popular Hindu shrine over a period of time. The temple is dedicated to Lord Shiva and is believed to be built in the early Medieval Period. However, it is also said to have been established thousands of years ago. As per local legends, it is the place where Lord Shiva took rest for a while after consuming poison during the Samundra Manthan. Hence, the site is of great religious importance amongst Hindus. During the festival of Shivaratri, the temple witnesses tourists and devotees in thousands. Here, you can also find idols of several other deities, such as Lord Brahma and Lord Kubera. If the legendary stories of the Hindu mythology fascinate you, then you must plan a tour of this age-old temple which has in store a lot to be explored. Apart from learning about the religious significance and history of the temple, you can also indulge in enjoying its pristine, composed and tranquil atmosphere. Therefore, it wouldn't be wrong to say that Pallikondeswara Temple is a must-visit destination for those looking forward to spend a relaxing and peaceful time. Do you know the temple is built on the banks of the Arani river? Well, this would certainly interest you. After all, who wouldn't love laze by serene river banks and get lost in the beauty of nature? The region in and around Pallikondeswara Temple experiences a hot climate during the summer season. Therefore, it is advisable to avoid visiting it during the summers. The best time is from October until the end of February. However, it is a year-round destination for Hindu devotees. By Air: The nearest airport to the temple is located in Chennai at a distance of about 70 km. Once you have reached Chennai, you can hire a cab or take a bus to Surutapalli, where the temple is located. By Rail: Chennai is well connected to all other major cities of India by rail. Hence, you can take a direct train to Chennai and then from there, you can hire a taxi or use public transport to reach the temple. By Road: Being a pilgrimage site, it has a good system of roads, and hence you can easily approach it.